I'm not a poetry reader, but I wanted to get out of my reading box this year. 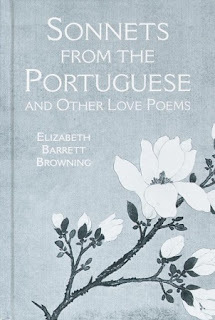 So when Becky decided to host 19th Century Women Writers Challenge I chose Elizabeth Barrett Browning's Sonnets from the Portuguese and Other Love Poems as one of my picks. Yikes. Death comes up a lot in these poems, by the way. I could see why my high school self would enjoy them- breathy, dramatic, and sentimental. Maybe this isn't the poetry for me now; the thees, thous, beloveds and exclamation points drove me nuts. Summer heat and sunny glow. Budding, blooming in the snow? Lest it harm you as you go. Or for sad green leaves alone? When you shall be safe and gone. I love her meter--I've never read E.B. Browning but you've got me tempted to get a copy now. She wasn't the first (or last) to confuse love with desperation (dependence). "How do I love thee? Let me draw up a schematic." --Too funny. Scribbit- Hope you enjoy it. Iliana- Yep, they seem unrealistic. this is a beautiful masterpiece of Elizabeth Barrett Browning. love it. I'm a romantic, so I love cheesy poems. 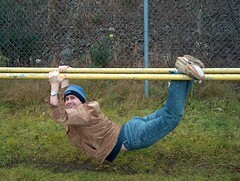 My husband is not an engineer, but definitely not romantic, lol. But yeah, that emphasis on being dead is a bit sad to say the least.